As a Disney World first-timer, you’ve been dreaming of it your whole life: the ultimate Disney World vacation. You have joined the email lists and the message boards. You have made a point to be on every forum and Facebook group you can imagine. 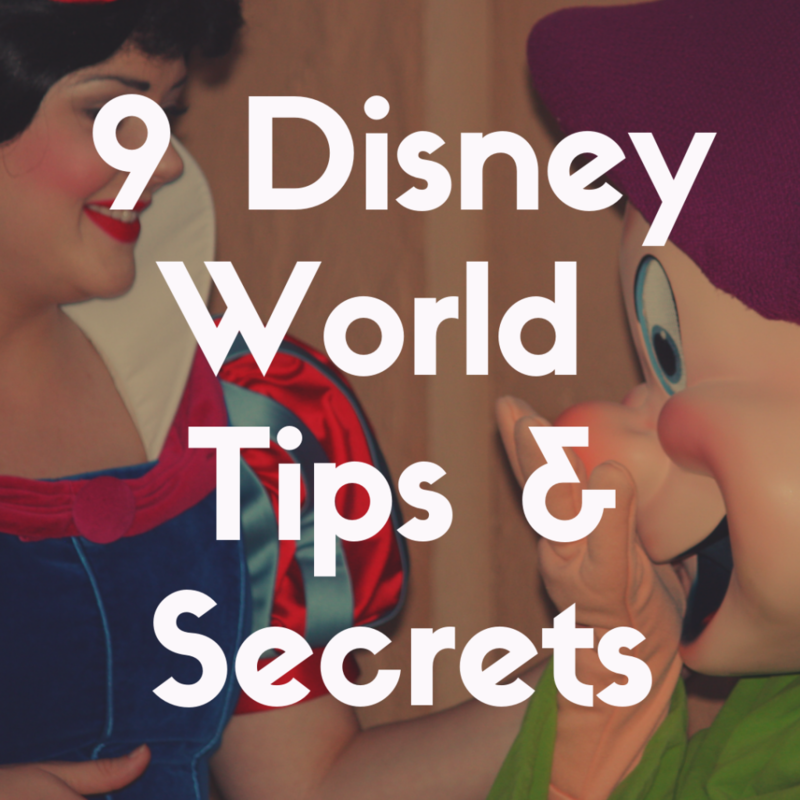 Are there any notable Disney World tips or tricks? Any mistakes I want to avoid making? Any experiences I just cannot let my family miss out on? How do I even enjoy planning a Disney World Vacation? Don’t worry—I’m here to make everything easy for you. Because in this article, I am going to breakdown the 9 tips you NEED to know for your first time going to the Walt Disney World Resort. So, let’s get started with number one! Yes people, there is a free app called the My Disney Experience. You need this app. This is not a drill. It is going to give you the chance to not only book your fastpasses and dining reservations, but will also provide live information for wait times, let you access your photos that have been taken, and have an virtual map right at your fingertips. You have to register yourself and open an account, but once you do it is going to make the entire vacation planning process and long days in the parks feel a lot easier. Instead of having to run to a board or the attraction itself, you are going to be able to open your app and see all the wait times as they are currently posted. Disney also has free WiFi while you are in the theme parks which will help not use up all your data throughout the day. While this app is a must have and a blessing some first timers miss out on or don’t learn about until they are in the parks themselves, it can be a battery drainer. I strongly recommend packing a portable battery pack and charging it up every night so you can keep your phone charged and ready at all times! So maybe you are looking over all the attractions at theme parks trying to prepare to make your fastpass selections and then suddenly you realize that your kids are not tall enough to ride some of the attractions you have been dying to go on. Have no fear because there is a solution. Instead of sitting out all of the big kid attractions you can elect to do a rider switch. Basically one member of the party will go on the ride. Once they get to the front of the line, they will tell they attendant that they will need a rider switch or child swap pass. This will allow for one member of the party to stay with the family while the other enjoys the attraction. When they are done, they provide the other member of the party with the pass and then go on the attraction themselves. So never hesitate when planning your trip because with this option everyone can ride and still be safe. 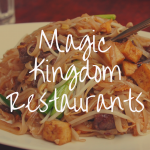 For some it may seem like a given, but food is something most first timers overlook when planning their days at the theme parks. Now for quick service you are never going to need a Disney World dinner reservation but if you ever even think about a table service meal, you NEED a reservation. Rarely is there ever walk ups available and when there is, the wait is long. Especially for any high demand venue, you need to have a dining reservations and plan ahead of the meal. You can make dining reservations 180 days out and I recommend snagging them sooner rather than later because they do go fast. Don’t lose all your sleep if you missed the 180 mark or did not snag a reservation for somewhere you really want to eat. Keep refreshing. People are constantly changing their dining reservations and you may be able to find it later down the road. But do not try to wing it. You most likely will regret it. Yes, they are included in the price of your ticket. So do not budget to spend extra money on fastpasses. It is not needed. Just like dining reservations, you need to grab these in advance too. If you are staying at a Disney hotel, you can book them 60 days in advance. If you are staying off property then you can snag them 30 days in advanced. Either way, pre book these too. The high demand attractions will sell out fast and they usually have the longest lines. Also, if you don’t get an attraction you really wanted always keep looking, it may come up later. 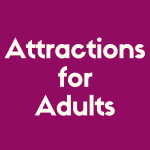 Always keep in mind that you have three attractions you can pick at first and when those three are used you can continue to book them one at a time during the rest of your day. So don’t use just three, keep going and snag as many as you can by downloading the My Disney Experience app on your phone or by visiting any kiosk in the park itself. 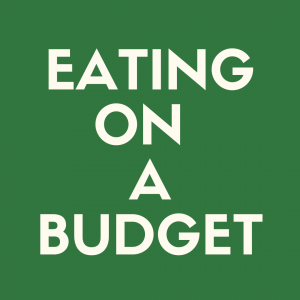 Yes, it does seem like a huge expense at first (but it doesn’t have to be. Check out value resorts) but the perks are endless. You can reserve fastpasses 60 days out. You receive extra magic hours which means more time in the parks. You feel that Disney Magic the moment you get into Orlando. The Magical Express makes it possible that you don’t have to worry about transportation to and from the hotel. You can park for free at the theme parks although now there is a fee for the resorts to park. There are deals throughout the year by bundling so always pay attention to when you can snag some extras for your trip. So while it may seem like you are spending more the transportation perks of not having to rent a car really pays for itself because rental cars can be very expensive in Orlando and traffic can be overwhelming while getting to the theme parks. The ability to have a package deal is a great way to save your money while planning your first trip. The benefits are huge here and if it is your first time coming to Disney World it is a definite advantage staying on property. I cannot emphasize enough how massive Disney World is. It’s enormous. 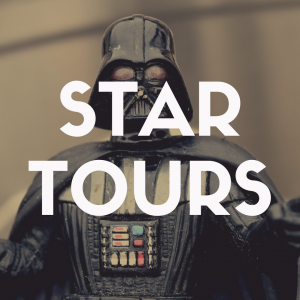 We’re talking miles and miles of glorious Disney splendor. 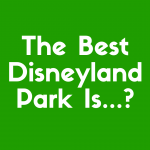 And it isn’t just the theme parks! There are over a dozen resorts, two water parks, two separate mini golf courses, Disney Springs and the Boardwalk area. You are walking a lot. For some families it can be upwards of ten miles a day trying to get all of their Disney magic in. You need to take care of yourself and make sure you have the proper footwear because your feet will need it. If you have ANY mobility needs whether it is small children in strollers or adults who needs scooters or wheelchairs, it is important to pre book your items. It is going to take away so much stress and allow your entire party to be comfortable. You probably will not fit all of Disney World into one vacation. Even after plenty of trips, I am still coming across new activities each time we go. Do not be disappointed. Be joyful that you can come back and experience things you haven’t before. Transportation is crucial. Nothing is really in walking distance of everything so make sure you know your transportation needs as well. But just be prepared because no words can really paint the picture of how enormous Disney World truly is. Now everyone wants to meet their favorite characters while at Disney World, and when I say everyone, I mean everyone. Literally every single person. Character lines are long. Really long. You can be waiting upwards of an hour at times trying to see your favorite characters. This can be a great use for one of your fastpasses OR you can book a character meal. Seriously, character meals are a lifesaver. It is going to allow you to meet multiple characters at the same times while eating your meal. The small interruption while you are eating is worth the price. Yes, they are more expensive but it can literally save you hours of waiting in lines. Sometimes characters arrive unannounced throughout the park which is always a welcomed surprise but if you see an attraction where the main appeal is characters try to grab that fastpass. And the lines can be outside and get hot. Really hot. Florida at times will feel like you are sitting on the surface of the sun so the more shade you can get and time out of those long character lines the better. When booking dining reservations for character meals you can always research which characters will be there to give you the best feel of which characters you may need fastpasses for. Also, Enchanted Tales with Belle is a great way to sneak a princess sighting in if you have a little one or maybe you want to see her in all her glory. The wait can vary from 20 mins to over an hour so keep an eye out and try to get in line when you see the wait is minimal. The best time is usually at night. Most importantly, be prepared and do your research. Disney World is massive. Florida is hot and humid and contratory to the state motto of Sunshine State, it still rains there a lot. Plan a down day. It really is going to to save your entire family. I know four days of theme parks back to back seems doable and for some it may be but for most, it is too much. Your body is sore, your entire family is miserable. You’re walking miles and miles a day and you may be a little dehydrated. Take the time to relax. Plan a day in the middle of your vacation where you do the pool or relax around the resort and maybe head to Disney Springs, but you have to take care of yourself and your family. And while you are at it, don’t hesitate to plan breaks to head back to the room for a couple of hours while out at the theme parks. Some times of he years the theme parks can be open late! Taking that break is going to push you through the day and allow your entire family to make it through the fireworks at night. Focus on yourself a little bit too. Make sure your entire family is actually enjoying their time at Disney and not just a puddle of sweat dragging across the concrete by the end of your vacation. This is going to one tip that will really save your sanity. Whether it is Fantasmic, a parade of any sort or fireworks display, you need to make time to find your seats. 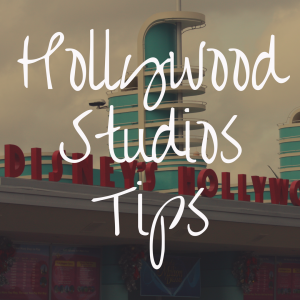 Depending on the show some spots are going to be better than others and you need to carve out time in your busy schedule to find the spot that would best suit your family and park them there while you wait for the show. It is a rookie mistake to try to head over to the show or parade route at the last minute and think you are going to be a seat or a decent view. That rarely works out in your favor and you need to mindful when planning your fastpasses. When booking your fastpasses you are going to be given a block window for a return time to the attraction in which you can ride. Pay attention when selecting your fastpasses make sure the hour block does not interfere with the time you may need to select your spots. I personally recommend either packing a snack or purchasing one from the theme parks and getting to your desired area about a half an hour before the display starts. You surely will not regret in when you check out those spectacular views. Your first trip to Disney World can be overwhelming and scary when you have no idea what you are doing, so make sure to do your research and download those apps. You will never regret any decision you make when it comes to doing more research. And even after your first trip you are going to realize that, well, you can never know enough about Disney World, but there is nothing more magical than your first trip!